Padella opened in Borough Market in March this year. It’s basically a pasta bar where they make their hand-rolled pasta fresh every day and serve it with sauces and fillings inspired by trips to Italy. The simple menu offers eight handmade pasta dishes and a handful of classic starters. Okay, sounds good so far. Not so good is that you can’t book. One of my pet hates about restaurants – I hate being disorganised (which not booking implies to me) and I really hate queuing (especially for food). And if the restaurant’s half decent there will be queuing involved – especially with the raft of rave reviews Padella received in its first couple of months open. Stories of queues around the block tend to put me off somewhat. Anyway, today we decided to brave it. The restaurant is open all day (from noon to 10pm) so our strategic move was to get there around 2.30pm and avoid the lunchtime rush. The perfect strategy as it turns out, there was a queue, a tiny one – the mere two people in front of us were soon seated and so were we. Upstairs is a tiny area set around a main bar with marble counters along the side. The experience is one of total relaxation and there isn’t even much stress involved in ordering as choices are limited (in a good way). 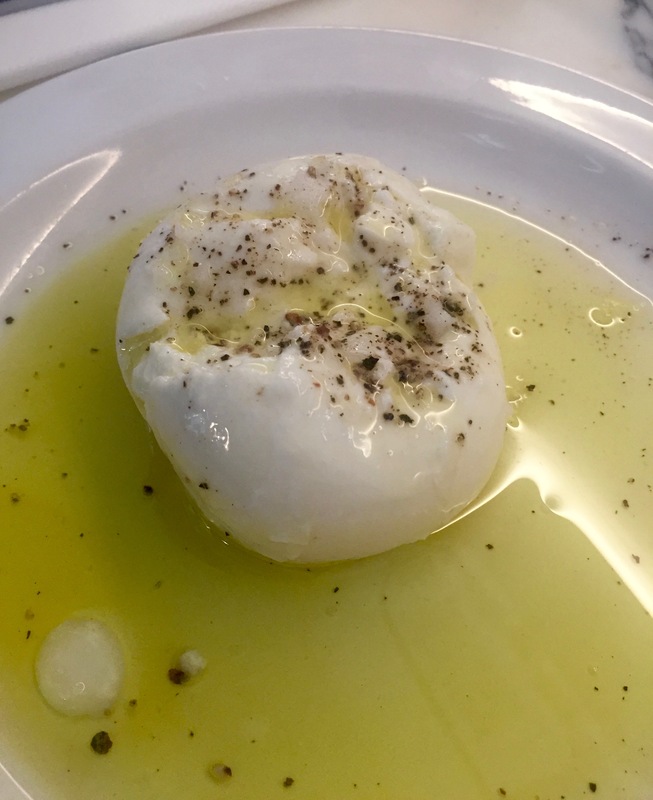 Can’t resist a good Burrata – served here with Puglian olive oil. The simplest of perfect flavours and the amazing soft creaminess of the cheese. It’s an irresistible starter. 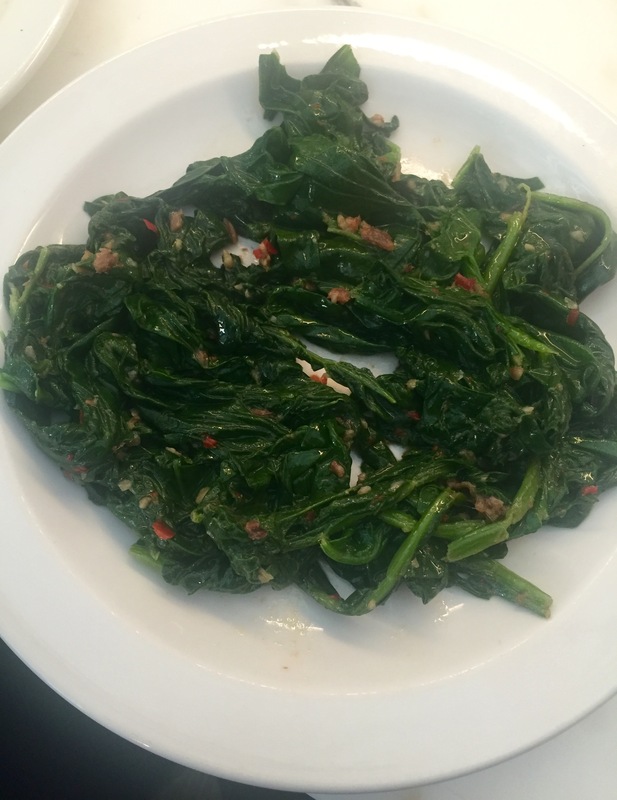 The marinated spinach with chilli, garlic and anchovy was beautifully spicy with slight fishy undertones and a wonderful earthiness. More restaurants should do spinach starters. Then it was time to choose pasta. Portions aren’t main course size, though they aren’t particularly small either, we ordered three to share between two of us. I’d read great things about the pici (pronounced peachy) with marjoram and golden garlic so that was first on the list. 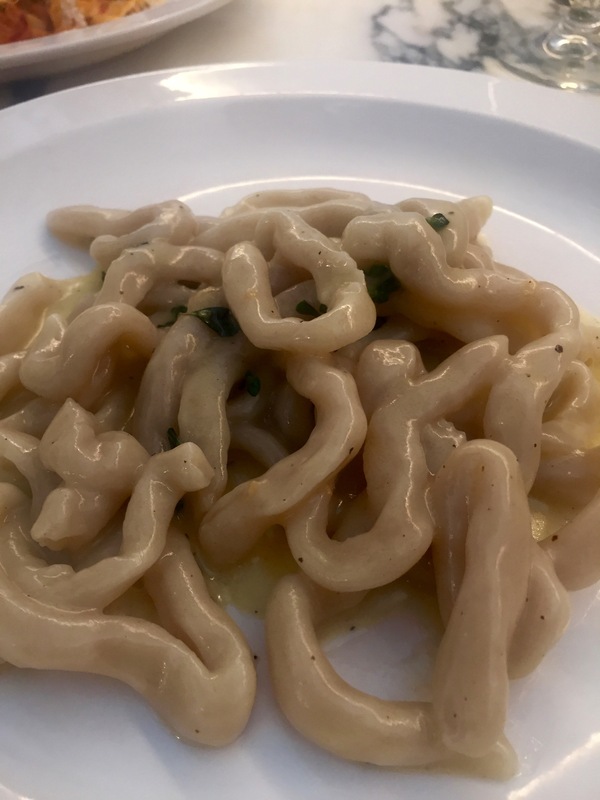 Pici certainly has substance to it and it was nicely coated with the delicate sauce. Delicious, if a little bit too much on the wormy side for me. You can see what I mean. Tagliatelle was served with nduja, mascarpone and parsley. Nduja is a kind of spicy spreadable pork salami paste. It’s got real bite and is perfect melted into fresh pasta. And next up – the king of pasta dishes for me. 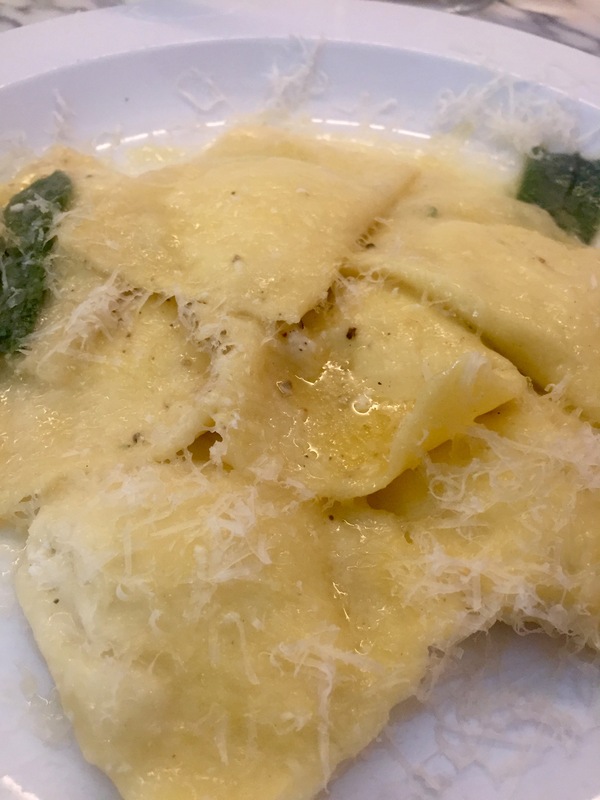 Ravioli stuffed with ricotta and served very simply with sage butter. Wow, the flavours and textures and well, everything, combined into an incredible taste sensation. I’d go back every week just for a plate of these scrumptious pillows. 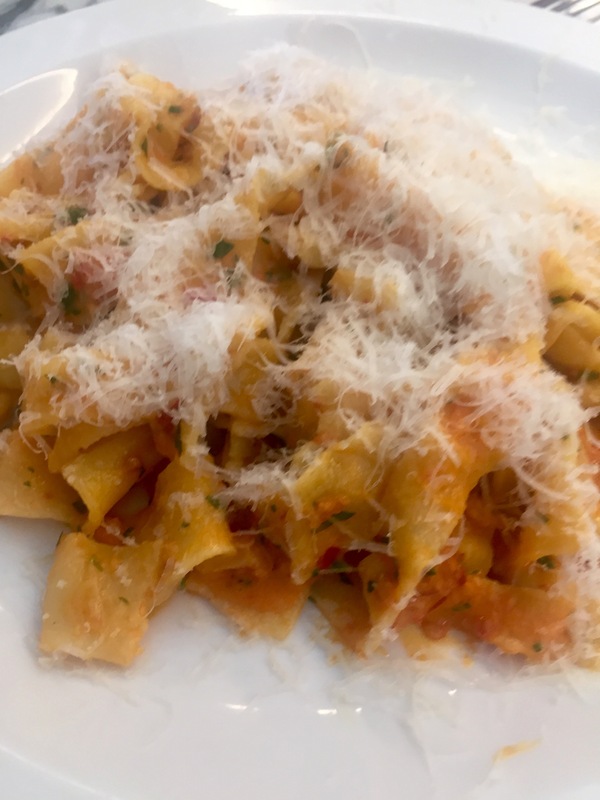 I did enjoy Padella immensely though I’m still not sure I’m up for a queue of any length to get in – especially in the amazing restaurant land of Borough Market where you’re certainly not short of choice. But it is a treat to eat simple food that tastes like it’s really been prepared with love. There’s a lot of heart in this pasta. Our two starters and three pasta dishes cost £29.50. 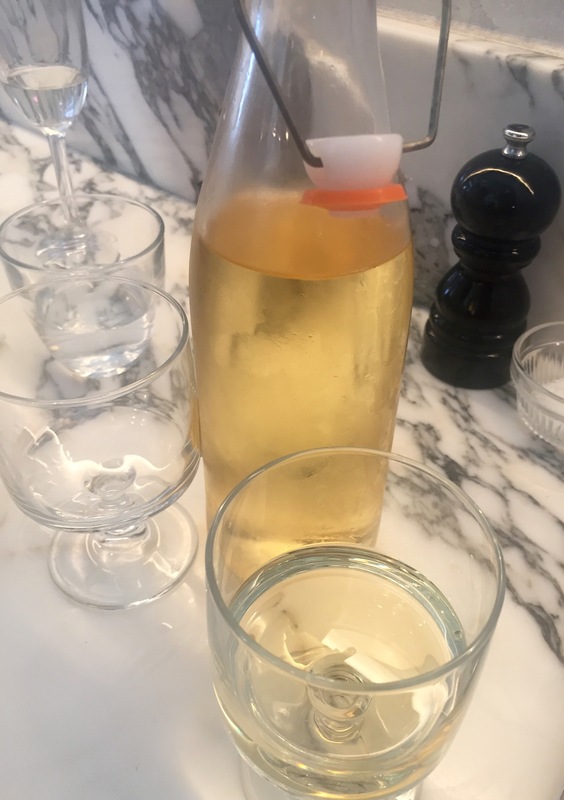 Prosecco is £4.50 a glass and a 500ml carafe of Pinot Grigio is £14. Padella is at 6 Southwark Street, London, just opposite London Bridge tube station.